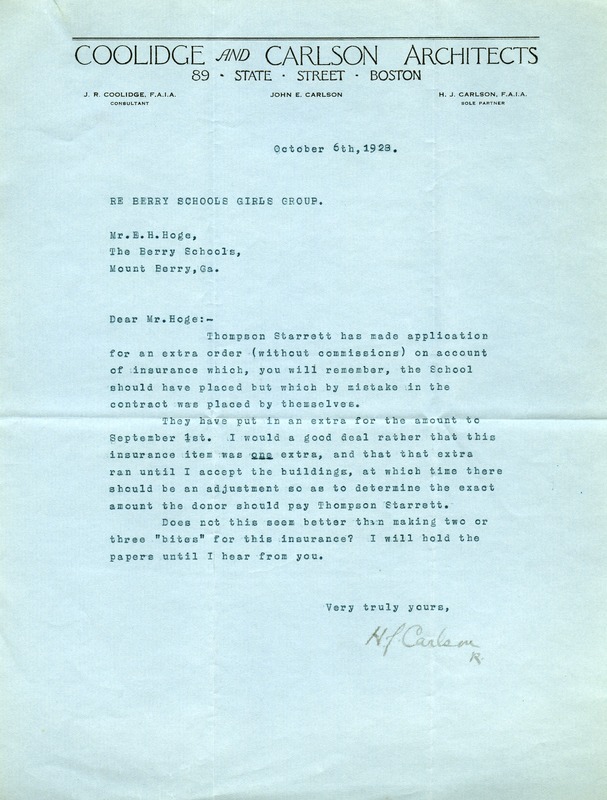 Harry J. Carlson asks E.H. Hoge to provide direction about insurance applications by Thompson Starrett. H. J. Carlson, “Letter from Harry J. Carlson to E.H. Hoge.” Martha Berry Digital Archive. Eds. Schlitz, Stephanie A., Sherre Harrington, et al. Mount Berry: Berry College, 2012. accessed April 25, 2019, https://mbda.berry.edu/items/show/6975.